The revolution in controlled energy is back. Cut sharper, dig deeper, push further and drive harder than ever before. 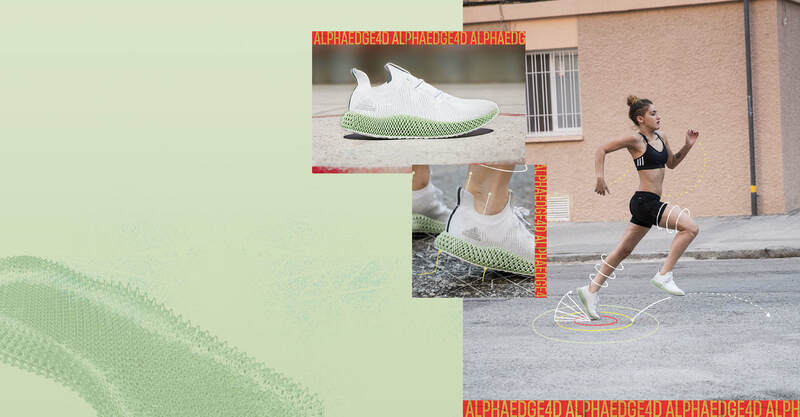 All ADIDAS 4D products feature our high-performance midsole based on 17 years of athlete data. Its single component design is precisely tuned for controlled energy return, long lasting cushioning and stability for all your runs. By utilizing high speed motion capture and force data, we are able to track how athlete’s run and answer questions such as how do they land on their feet, how much pressure is exerted against the shoe, where do they need more support. We translate the data collected to map out how stiff each part of the midsole needs to be, to provide cushioning or support where required. We digitally test out the stiffness targets that were created- it’s like running a product test, only all simulated in a digital environment. Based on the tests, we fine tune the lattice to make sure the final design is optimized to perform to the athlete’s needs. The final digital design of the midsole is sent to the printer to create the actual midsole.